Purple | White Abstract Star Painting - "Purple Skies White Star"
Deep Purple, Red Undertones and White. Mediums :Gloss Enamel on triple primed gallery wrapped canvas. Deep Purple abstract art on canvas for when something purple is a must have. 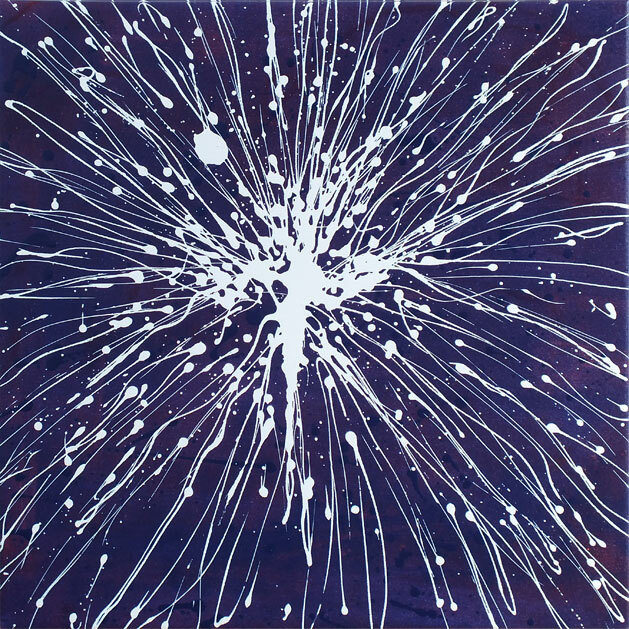 Created using gloss enamel paints this painting delivers a dominant background of purple with subtle red undertones and brought to life with an explosion of white.